especially cicadas of the United States and Canada. Species-specific song recordings for most eastern cicada species, distribution maps and photos coming soon. Species-specific song recordings, distribution maps and photos coming soon. Cicadamania – the oldest and best-known general website for cicada enthusiasts. Magicicada.org – established to solicit and organize distribution records for periodical cicada broods from the public. Cicada Central – established as a clearinghouse for research on world Cicadidae. New Zealand Cicadas: A Virtual Identification Guide – comprehensive information on the New Zealand species. Cicadas of Australia – an extensive website on Australian cicadas, with songs, photos, maps, and natural history. The Canadian National Collection of Insects – general cicada identification plus information on morphology, ecology, and evolution. Cicadasong.eu – songs and other content on European cicadas. Cicadas of India – a major new addition with over 100 species pages. 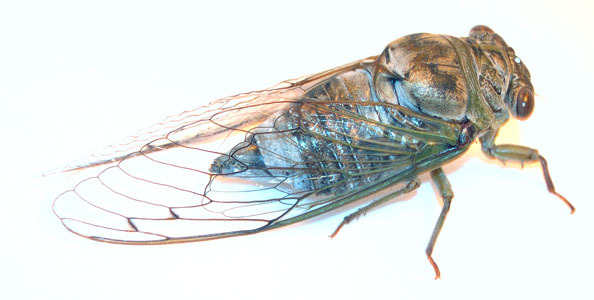 Cicadidae in Japan – includes a database form for accessing songs of Japanese and Korean cicadas. Slovenian Wildlife Sound Archive – from the Slovenian Museum of Natural History. S.E. Asian Cicada Songs – from the Slovenian Museum of Natural History. Cicada Songs from Borneo – with sonograms and some phenological data. 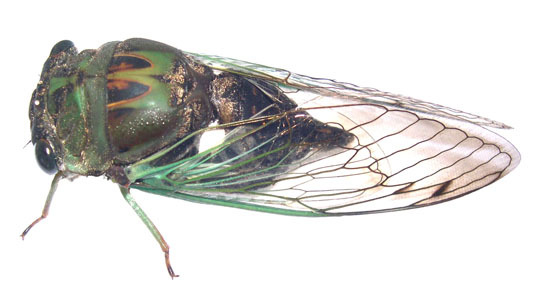 Checklist of South African Cicadas – from the Villet Lab, Rhodes University. Great Lakes Cicada Page – by the author of a new book "The Season of the Cicada". Cicadas.info – focuses on cicadas of the mid-Atlantic states. Cicadas of Massachusetts – extensive site on New England cicadas, collecting techniques, etc. Cicadas of Michigan – focuses on Michigan cicadas with songs and identification keys. Cicadas of Florida – basic taxonomy, identification, and life history. University of Michigan Periodical Cicada Site – older comprehensive site on periodical cicadas. BugGuide.net – a general insect identification site with many cicada photos; some photo IDs may not be correct. Songs of Insects – a companion website for a book of the same name, contains an online identification guide for songs. Singing Insects of North America – an extensive general resource with songs, maps, and keys. Cicada section under development. Bibliography of the Cicadoidea – a web database of scientific publications on cicadas.